Welcome to the Weight Loss Transformation Blog! Welcome to the Weight Loss Transformation (WLT) blog! 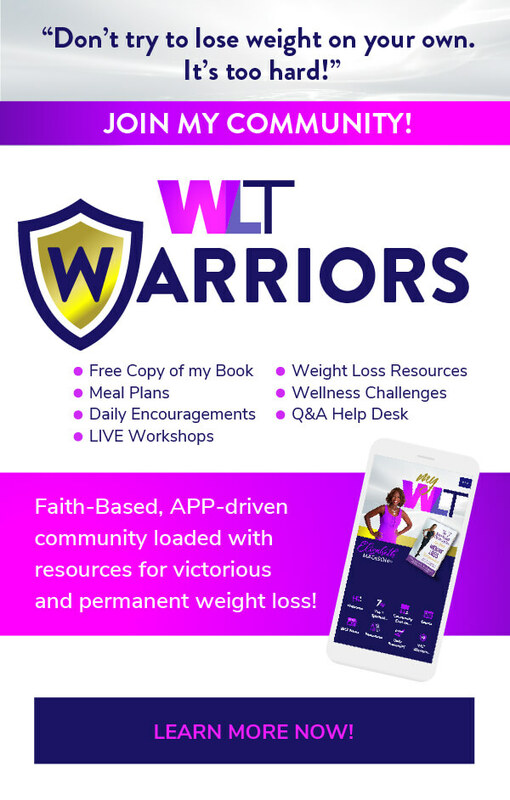 WLT is a faith-based approach to permanent weight loss. Why faith-based? Because the spirit, mind and body are seamlessly integrated. One area will always affect the other two. I know this because WLT was born out of my own struggle and victory over obesity and emotional eating.